Find us on Facebook, LinkedIn, Twitter and Instagram. Solar panels work by allowing light into the solar cells. The more light that hits a panel, the more power it will generate. 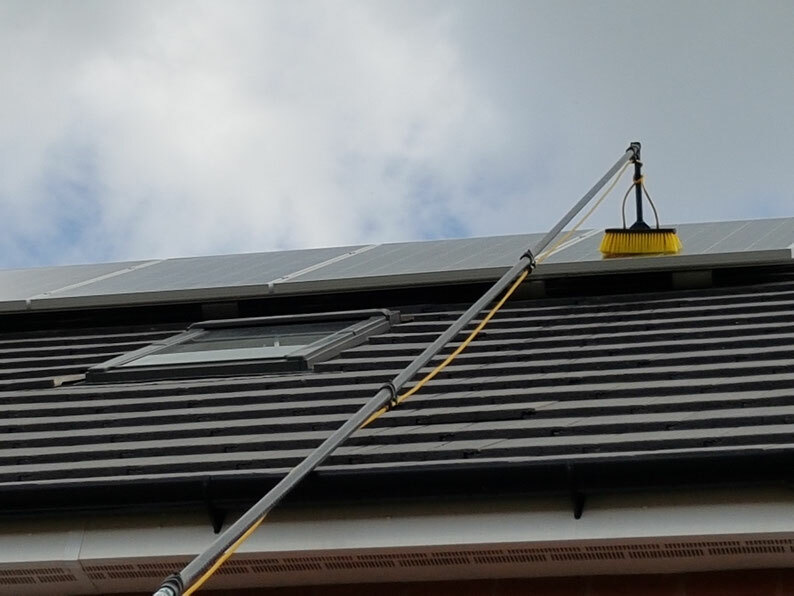 Although most solar panels are considered self cleaning, They are prone to bird droppings and a build-up of general dust and dirt that does not wash off with just rain. 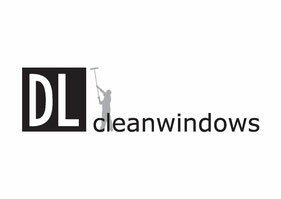 This reduces the amount of light hitting the panel, reduces its output and can cause damage. 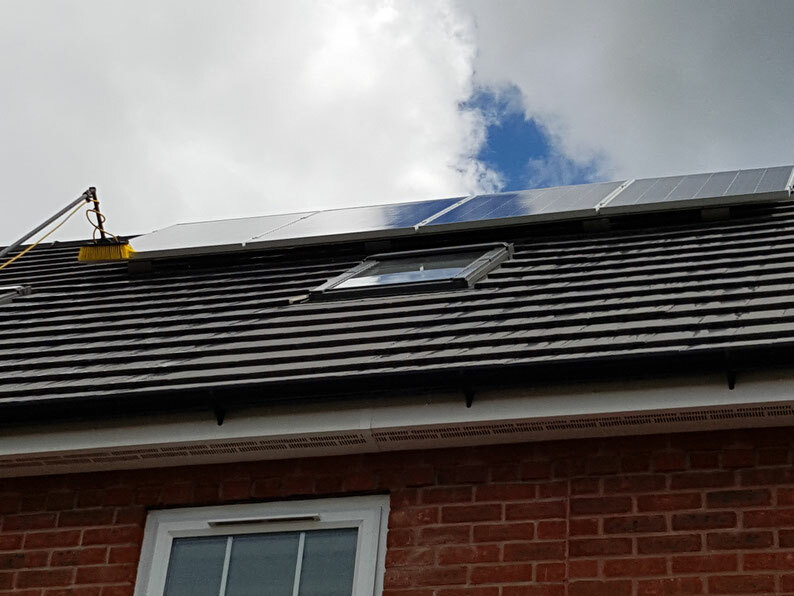 Using pure water and a specially designed soft bristled solar panel brush we can keep your panels working their best. 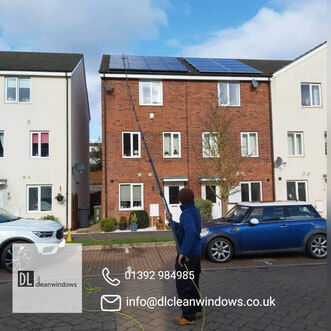 Cleaning your solar panels once a year will help keep them clean and working at optimal levels. Leaving growths such as moss, lichen, and bird droppings can cause long term damage Solar Panels.